Today I wanna share a little note with you even as you prepare to go to church. Well, follow me and let’s learn from it😊. Every human being on this earth has been given a talent, whether a believer or an unbeliever, God has given you a talent but to the believer we have been given supernatural gifts in addition. Now when it comes to the talents, some have been given more according to their ability. That is why sometimes people look at others and ask why God gave those persons all of that, and gave a smaller portion to them.Always remember God knows everything and whatever He does is perfect. To whom much is given much is expected. 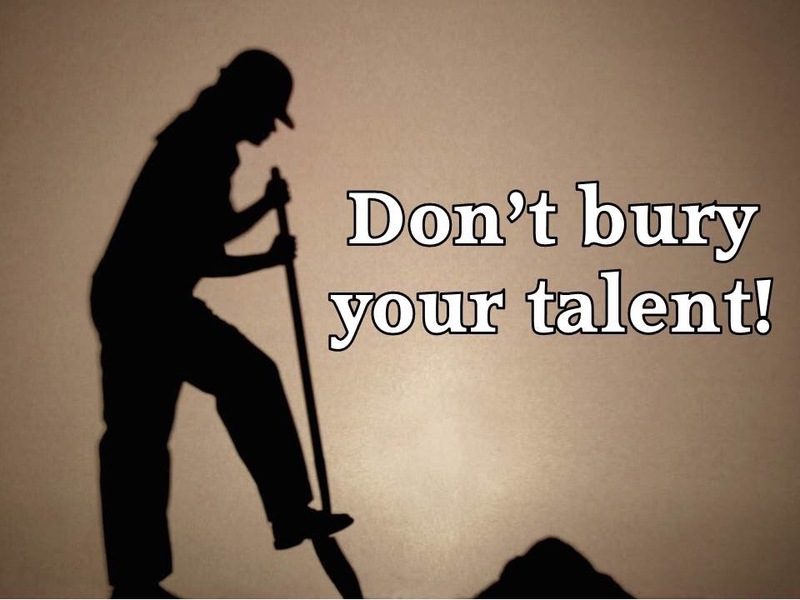 So instead of envying that person doing so well with the talent he has, by working hard and staying dedicated to the chosen path to achieve results, go back home and dig your talent out! Yes the one you hid underground waiting for the master to return so you hand it over to Him. Don’t focus your strength on envying other people’s success but rather work with what you have and you will be successful too, it might not be as big as the others but remember that we were all given talents but it’s magnitude depended on our ability to handle it, be content with what you’ve been given, work on it and grow in it. My message to my fellow believers who envy their brothers in Christ is that, there is something you have been given so work with it. Don’t hide it and criticize God for creating you the person you are. You are His masterpiece, a valuable one indeed. Unbelievers have talents too and sometimes we wonder why they do not worship God but are successful than most believers, well they don’t sleep when they want things done, they work hard tirelessly and remain dedicated to the course, so tell me why such people deserve to fail? Believers can do better than this because we have the Grace and favor factor. Whatever you consecrate to God, He takes charge of it and does not allow it to go bad. So my dear brothers and sisters in the Lord, if you want that thing so bad, don’t just speak it, work it so hard but first that talent must be consecrated to God, that talent must be used for the glory of God. Trust me God will never allow a thing placed under His care to be altered! If God is for you, absolutely no one can be against you so hand it over. Do reflect on this and work towards it. We should not envy others success but we should work with what we have. Nice piece.